By having this system mounted onto an aircraft, the Cobra Ball provides quicker mobility and more flexibility than other BMD sensor technologies. By utilizing an air force leg in U.S. missile defense, there is an added layer that provides more detailed and timely information for command and control units. 1994: Aircraft were stationed to Offutt Air Force Base in Nebraska, where they now satisfy tasked intelligence collection operations. Since then the aircraft have participated in Operations Enduring Freedom and Iraqi Freedom. 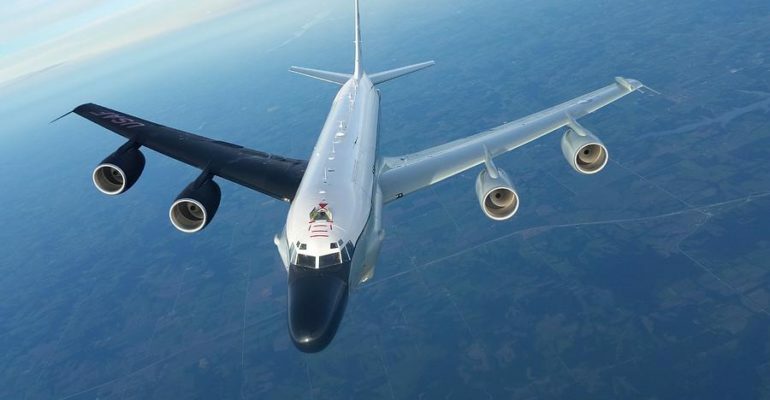 1961: C-135 aircraft are modified to RC-135S, where they flew missions out of Shemya Air Force Base, Alaska, to monitor Soviet reentry vehicles in order to determine Soviet capabilities.